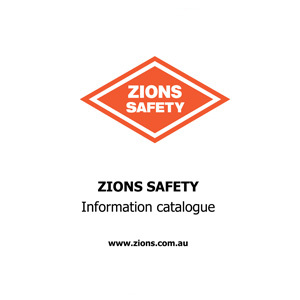 Zions Safety Information Catalogue is accessible via the link below giving you access to further detail on OHS/WHS safety regulations within your industry. NOTE: *ZIons is in process of updating this catalogue to the current WHS regulations for each product. Please refer to this as a guide only and research the current WHS specifications until this Catalogue is ammened.